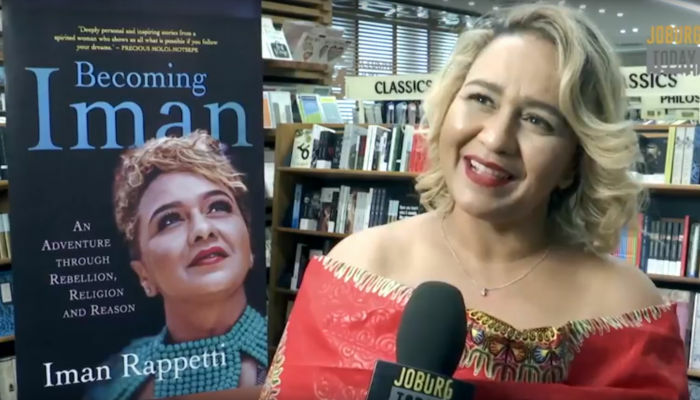 Iman Rappetti launched her debut book Becoming Iman at Exclusive Books Hyde Park recently. In this moving and entertaining memoir, Rappetti shares stories and what she has learned from her colourful journey through life. The award-winning journalist says she has been telling stories most of her life. ‘It’s wonderful to be able to create this compendium of experiences, and share them at this point in my life,’ she says. ‘It was part serendipity, part having the space in which to express myself, and people to support me along that journey.